No, Valentine's Day hasn't snuck up on you. Turns out, Twitter users are feeling the new heart icon. Twitter Senior Vice President of Product Kevin Weil revealed today that the new shape has led to a six percent increase in "liking" tweets. 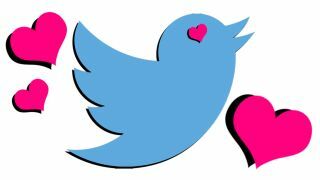 Originally a star icon, Twitter's "favorite" function was replaced replaced by heart last week along with a terminology shift from "favorite" to "like." Weil attributes the increase to simplicity. "It's easier to understand," he said, which given the ubiquity of Facebook's "like" function, makes sense. The decision to change the actual symbol itself, however, took a little more work. "We know that at times the star could be confusing, especially to newcomers," wrote Product Manager Akarshan Kumar in an official blog post last week. "The heart ... is a universal symbol that resonates across languages, cultures, and time zones." While some took to the change hesitantly, that "liking" with a heart symbol over "favoriting" with a star has shown to be popular says something about how social media can engage with users worldwide. If nothing else, "liking" is more commonly accepted term across languages than the English-style "verbing a noun" seen in the word "favoriting." Anyone who still prefers the yellow celestial body to the red major organ may still be in luck, as the update may not affect certain third-party applications and any outdated versions of Twitter's mobile app.